 Today was the third day, and second week of a course for “Creating Companies based on Technology” promoted by the Fondo Social Europeo, Ministerio de Industria, y Turismo, Escuela de organizacion industrial y BIC Euronova which is probably the one who is gaining the most out of all this. The introduction included a talk by several entrepreneurs, one of which included Joaquín Cuenca Abela the founder of Panaromia. His talk included several interesting points which included that while he ended up selling his company to Google, he agreed that this is not in the interest of Spain, and equally he touched upon the fact that one of the most basic problem in Spain that IT companies encounter is that there is only round A funding and if you are not cash flow positive, you can most probably forget your round B, where as in US, you can go from round A to F and carry on. Moving on from last week to this week, was the legal aspect of running a company in Spain. An entrepreneur who is self employed is 100% risk should anything go wrong and there out of 3,355,000 companies 1,793,000 are made up of the self employed that’s nearly 54%, next you have the 1,140,000 public companies and finally some 109,000. For a country that’s trying to promote more self employment and company creation, the law is not exactly apt. Last month at ESADE several foreign VC’s complained about the beauracracy involved in setting up a company in Spain, Gary Stewart, the director of Wyra complained about the bankruptcy laws and Alejandro Suárez Sánchez-Ocaña complained about the tax law not taking into account your investment losses in Startups. So taking that into consideration, why would one want to setup a company in Spain. At ESADE they were talking about getting more foreigners to invest in Spain. I am a nationalized foreigner and I consider myself a Venterpreneur (a term I picked up from Christopher Pommerening). I have invested in several startups, some I have stopped part way through, some put on hold and two I have pushed forward, however I am greatly at odds with how one of my investments has been received. I have created jobs, paid money into social security, brought wealth into the country only to be penalized by unjust labour law and an administration that is incapable of understanding the word innovation. In fact Martin Varkovsky in one of his blogs warned entrepreneurs and investors against coming and investing in Spain for a very similar reason. Resulting factor is that many companies move their operations away from Spain, the changes in the labour law are minute to create enough incentives for employment and as explained by a top lawyer in today’s course, the law is not the best in Spain for allowing companies to be created and there is little help to make them grown. What’s the solution. Well the law is written by other’s no different to you or. It is our job to ensure that these people modify the law and allow for foreign investment to venture more into Spain, to allow entrepreneurs an easier way to startup and close, and finally to moderate the labour law even more to allow investors and employers to employ again. These changes can only come about if the people at the top get together and provider the law makers with the facts and solutions and hopefully through these blogs and information blurbs that make those in charge aware of the reality. I beleive that Spanish labour law needs to adjust to make a responsible work force. A work force, that does not take a job for granted and takes advantage of the system to do the least possible, becuase they can’t be fired, knowing that even if they were they will only end up with a huge sum of undesereved money. These type of laws and verdicts, brews nothing less than irresonsible work force, who are there to take and not to give. A labour law like that of Germany is one that Europe should take lessons from, a dedicated work force who value their job and put all the required effort and pride themselves in the success of their company.